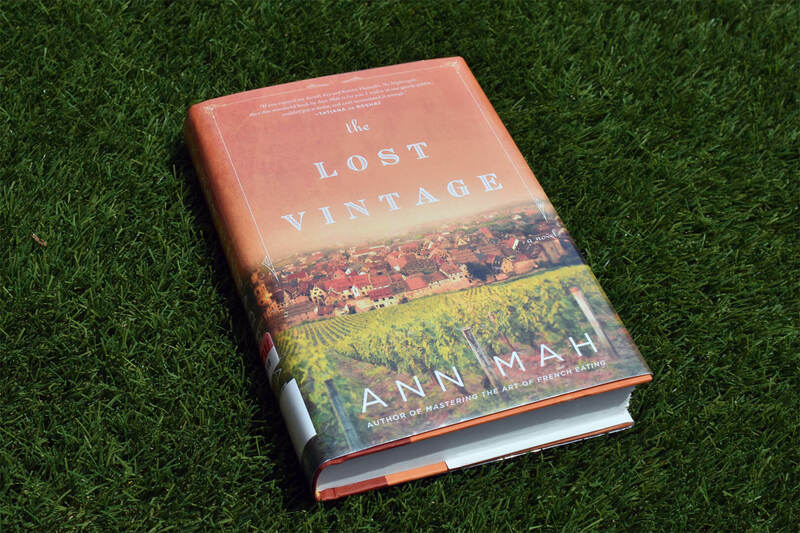 The Lost Vintage by Ann Mah is a family saga with plenty of depth and intrigue, all in the setting of Burgundy. The following book club questions will spoilers so if you haven’t read the novel yet, read my preview and review first. The Lost Vintage follows the protagonist Kate as she travels to Burgundy to spend the fall at the vineyard estate that has belonged to her family for generations. She eventually discovers a hidden room containing a cot, some Resistance pamphlets, and an enormous cache of valuable wine. Her search will take her back to World War II and a relative she never knew existed, a great–half aunt who was a teenager during the Nazi occupation. We follow the first-person perspective of Kate throughout her journey. The perspective of her great-half aunt Hélène is told through her diary entries during the Nazi occupation. What did you think of the two different perspectives? Did you prefer one storyline to the other? Let’s talk about why Kate stayed away from Burgundy for so long. What would have Kate’s life been like if she would have stayed? Do you think she made the right decision at the time or do you think it was wrong? What was your initial thoughts of Uncle Philippe and did it all change as the book went on? He seemed to believe that the past should be left in the past. Do you agree with that? Why or why not? In what ways are Kate and Hélène similar and different? A large portion of the story is focused on the lasting impact of the Nazi occupation. It becomes even more complicated when Kate’s great-grandmother, Madame, was the one complicit with the Germans, not Hélène. Madame says she did it to protect her family. Let’s talk about her complicated actions. Do you believe her guilt was passed down to family members? And now let’s discuss Hélène, she was able to leave France and start a new life in the United States. Do you think she had a happy life in the states? Kate’s romance with Jean-Luc is a major part of the book. He believes that Kate gave up on him and he was left to pick up the pieces. However, they never stopped loving each other and he was even willing to move to the states to be with Kate. Were you surprised she said she wanted to go back to Burgundy with him? How did Kate change from when they first got together to the end of the book? In your opinion, what is the definition of home? How does our family heritage help shape who we become? Or do you think that’s not always the case? Why or why not? Themes include the power of the human spirit, love, loss and courage. What other themes did you pick up on? You can find this set of glasses here. You can buy them on Amazon here. Don’t forget some flag decorations for the cheese! The High Season by Judy Blundell is next on my list. Check out my preview here.